THE ATTORNEY General and the Department of Finance are reportedly looking into a recent decision at Bank of Ireland in which government funding for Galway Airport was used to offset the airport’s loans. Labour TD Derek Nolan told TheJournal.ie today that he and the Tánaiste met with representatives of the airport’s board and the Galway Chamber of Commerce yesterday to discuss the issue. 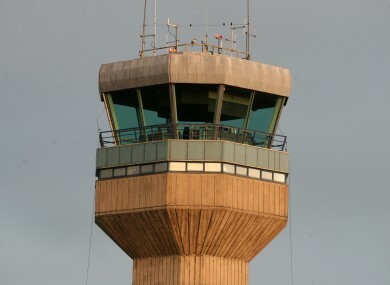 Nolan said the bank’s decision was within the terms of its contract with the airport, but that it was unexpected given that “the airport was up to date with its repayments”. He also said that the Attorney General is looking into the legality of the move, and that the Tánaiste is awaiting a report from the Department of Finance on the issue. Deputy Nolan said today that the Department of Transport had given funding to the airport in order to enable redundancy payments and to facilitate ongoing operations at the airport. Of the €1.6 million the airport had in its account, €1.1 million was transferred to offset against its term loans, leaving €500,000 to cover redundancy payments as well as ongoing operations. The Examiner reports today that €450,000 of that half a million has already been earmarked for redundancies. Although there are currently no commercial flights from the airport, it is used as a maintenance facility by Aer Arann and is used for private flights into and out of Galway. Fianna Fáil TD Éamon Ó’Cuív said he raised the issue in the Dáil last week because he was “very concerned about it because the loans are up to date”. He said that he is also worried about “the possibility of the same clause being used for other companies”. Ó’Cuív said the latest development meant that the prospects for Galway Airport are “not good”. Galway Airport could not be reached today for comment, though airport director Declan Dooley told the Examiner that the airport may have to close within days or weeks if the money is not returned to its deposit account. Email “Concern growing over future of Galway Airport”. Feedback on “Concern growing over future of Galway Airport”.